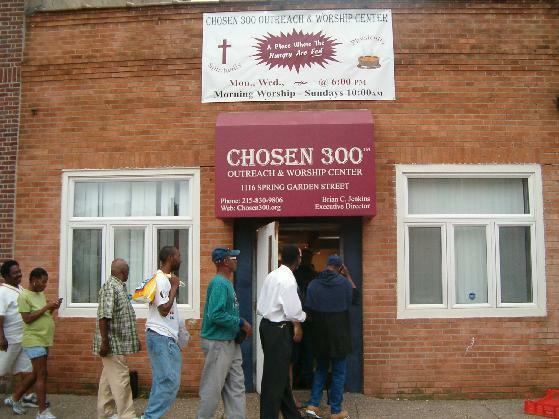 In 2008, Chosen 300 Ministries opened an additional homeless outreach site on the second floor of Millcreek Baptist Church located at 641 North Preston Street. With the help of five churches and a core group of volunteers, we provide meals to approximately 100-150 homeless and needy individuals every Friday in the West Philadelphia community. Due to limited space, we have now out-grown this location and have recently purchased a building located at 3959-61 Lancaster Ave for $244,000.00 of which we used Capital Campaign funds in the amount of $169,000.00, leaving an outstanding mortgage of $75,000.00. Upon completion of renovations at the new West Philadelphia site, Chosen 300 will be able to add approximately 7-10 additional volunteer churches, allowing for triple the amount of hot meals to be served. In addition, we will also be able to expand services at this location to include a computer lab, learning lunch sessions, job readiness programs, and health support services. 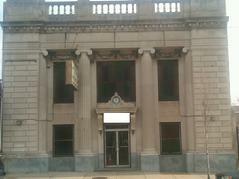 Develop a 3-Tiered Transitional Center for homeless persons in Center City, Philadelphia. - Tier 1 - Dining Facility, serving nightly meals for 300 homeless and less fortunate individuals. - Tier 2 - Training Center, providing educational programs, vocational training, and instruction in ethical behavior. - Tier 3 - Six month Transitional Housing for approximately 35-50 homeless persons. The project is broken up into 3 stages, which will allow the organization to gradually acquire the necessary properties over a period of time; and continue to develop quality services for the homeless. As each tier is completed and paid for, the next tier of the project will begin.